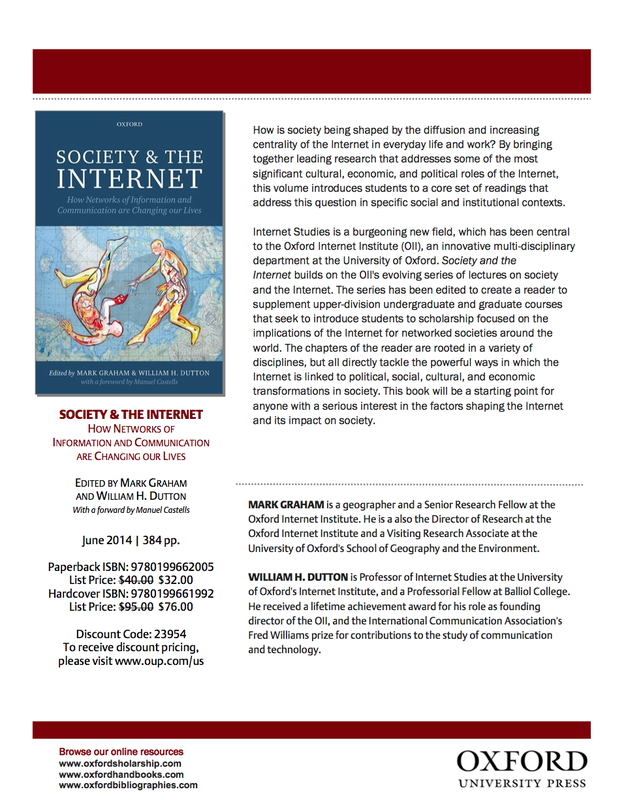 Society & The Internet book is now out! 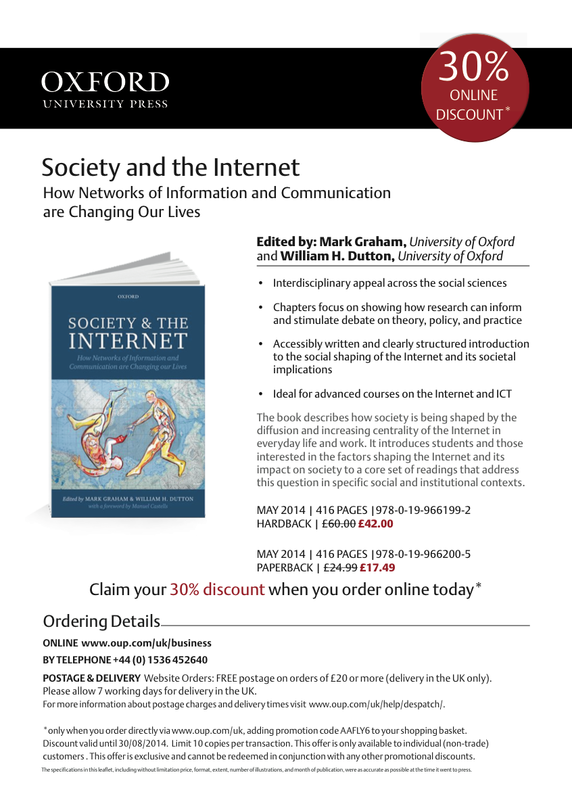 The “Society & The Internet” book is now finally out! We’re also able to give people codes that offer a 30% discount on the list price (see the codes below). Meaning that you can get the 390 page paperback for only £17.49 in the UK and $32 in the US. 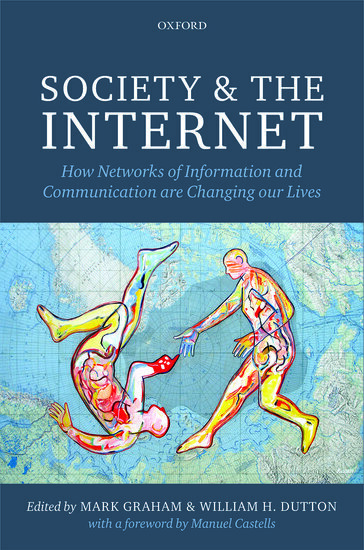 I hope this becomes a useful teaching and reference tool for anyone thinking about the collisions and co-constructions of the Internet and society.